Blockchain technology aims at promoting transparency and accountability across all industries through the systematic recording of financial transactions. Due to its decentralized system, the technology is virtually immune from government interventions associated with inflation and the monopolized valuation of currencies. ICO is an acronym for Initial Coin Offering, which is quite similar to an Initial Public Offering (IPO) for a public limited company. However, the initial coin offering serves as a type of crowdfunding tailored around cryptocurrencies. In an ICO, investors are awarded tokens in exchange for cryptocurrencies invested, and such tokens become the units of currency upon attainment of the ICO’s funding goal. Unlike IPOs in a company, where investors purchase shares as ownership of a company, ICOs offer investors coins with the capacity to appreciate in value once the business is deemed successful in future. In most cases, the coins are pre-mined and can only exist at a particular predetermined number. For instance, Bitcoins are fixed at 16.8 million in supply. The first ICO, informally known as a token sale, took center stage in July 2013, courtesy of Mastercoin. Afterwards, Ethereum built up momentum by raising 3,700 Bitcoins within the first 12 hours and with an approximate value of $2.3 million at that time. However, 2017 proved to be the crowning year as Brave, a web browser, grabbed the headlines by generating over $35 million in less than 30 seconds. Kik, a message app developer, went a notch higher and raised an astonishing $100 million through the initial coin offering. Novice investors have unfortunately fallen victim to ICO scams. For instance, MyEtherWallet consistently duped investors by claiming to offer state-of-the-art protection from hackers. This necessarily required investors to log into a fake version and deposit their cryptocurrencies without as much suspicion. Confido also grabbed the headlines by posing as an online shopping exchange after defrauding investors from an approximate $375,000. As an entrepreneur, it is in your best interest to verify proof of endorsements for the specified ICO, while also consulting a legitimate team and analyzing the required figures. The absenceof team developers: A legitimate ICO shouldn’t have any challenges identifying the leaders who spent a considerable amount of time working on the project. Their presence essentially builds trust and ownership while serving as a prerequisite for accountability. If any ICO deflects on presenting its developers, then don’t hesitate to move on. Lack of a well-defined roadmap: An ICO is the first step in any reputable company’s need to solving a particular problem. A startup must correlate its activities and plans through a precise roadmap of which actions need to be taken, and when. A lack of roadmap invariably indicates that the masterminds behind the ICO don’t plan on sticking around for the long haul. Weak white paper: A white paper primarily acts as a document that expounds on the startup in detail. It includes crucial information such as the technology behind it, the problems the business hopes to solve, the value of the project, and the precise reasons behind the crowdfunding exercise. The suddendemand for urgency: Genuine ICOs take specified time to complete based on their scope and area of focus. Most unreliable ICOs tend to operate on the FOMO principle (fear of missing out). With the tinge of urgency in its campaigns, these ICOs hope to raise prices with the intention of selling immediately afterwards. Hence, it’s in your best interest to avoid them altogether. Pyramid structures: Fake ICOs tend to operate with pyramid structures typically associated with Ponzi schemes. In this case, investors are encouraged to refer members with the incentive of gaining more rewards. Such fake ICOs tend to collapse once investors have brought in new members and the cash flow isn’t sufficient to pay them all. Any ICO that operates on this basis is a red flag and should be evaluated with extreme caution. Unclear fundraising goals: ICOs are primarily developed to raise specific amounts of capital to finance defined company projects. For instance, a startup seeking $10 million from an ICO should harness its efforts towards increasing such capital. Having identified the signs of a fake ICO and being aware of the risks associated with ICOs, investors must also consider ICOs are getting lots of news coverage as viable investment sources. 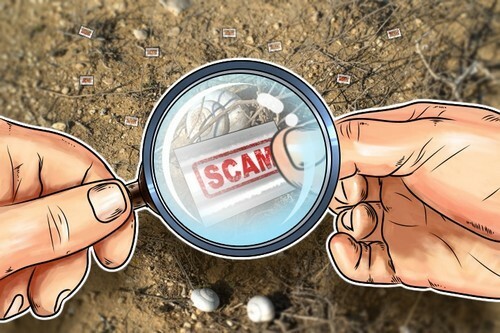 News coverage on a particular ICO instigates intense scrutiny with minimal chances of scamming. More importantly, investors must comply with the basic rule of investing; do not invest more than you are willing to lose. Due to their high-risk nature, investors must be wary of the amount they are willing to part with in case the investment doesn’t pan out. However, the potential of rewards can outweigh the risk.